WCI Electric offers professional breaker box replacement and repair services to commercial business owners in San Jose, Santa Clara, Campbell, Cupertino, and nearby areas. 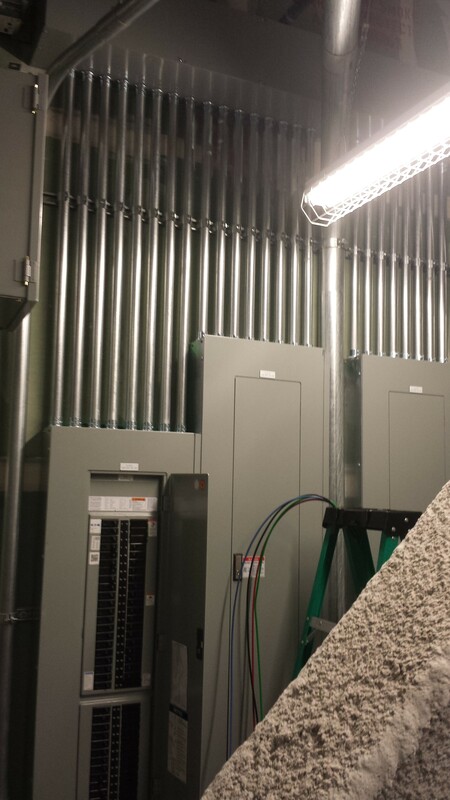 Is your building in need of breaker box replacement or repairs? Even if the wiring in your building is in very good condition, it is likely a great idea to replace that old box with a more modern electrical panel for safety reasons every 20 years or so. These older panels can become dangerous if you are using new appliances and computer equipment. If you’re not sure whether you need replacement breaker box installation services or not for your older building, think about the electrical load in a typical property of the 1950s and 1960s versus today. Today’s technology has created a variety of advances in appliances. Today, your commercial location will likely have computers, printers, fax machines, telephones, fridges, microwaves, dishwashers, trash compactors, special indoor and outdoor lighting systems. Many years ago, all of those technological accessories you have today did not exist. So the question, “is it time for you to upgrade the breaker box” demands a positive answer. If you connect and use all those appliances in your older building, there’s always potential for an electric fire which could be disastrous. If you have a fuse box, you might also notice that replacement fuses could be hard to find, and a fuse box upgrade to a breaker box might be necessary. Licensed electricians are your best option to guarantee the future of your older building. Quite often, fuse boxes which are replaced with breaker boxes provide property owners with lower insurance rates. You will notice that circuit breakers tend to be much easier to manage and repair. With the older style, you generally would need to replace a whole fuse since the metal inside would melt from an electric overload. However, if a circuit breaker tripped because of overload, you simply would switch off the breaker switch and then turn it back on to regain power. Update to a modern, standard electrical circuit panel for safety and convenience reasons. Here at WCI Electric, our Electricians are certified and experienced in replacing breaker boxes, so call us today! Your breaker box is actually the core of your electrical system, and when it gets to be old, it can get incredibly dangerous for your commercial location. Don’t put off taking care of this essential device; you’ll regret it!